Welcome to Mercy Ebute's Blog: NCC reduces MTN’s fine to N674bn, CEO and Corporate Affairs head resign. NCC reduces MTN’s fine to N674bn, CEO and Corporate Affairs head resign. The MTN Group requested a reduction in the fine imposed to it by NCC, and on Thursday they said they received a formal letter from the Nigerian Communications Commission that confirmed the reduction of the N1.04tn fine imposed to N674bn. 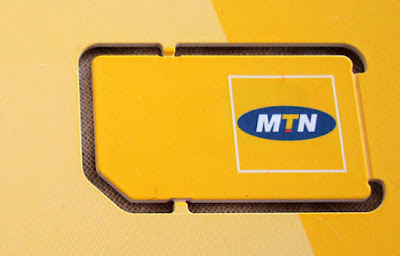 The fine was bestowed upon them due to the late disconnection of 5.1 million unregistered MTN Nigeria Subscriber Identification Module cards in August and September, now has to be paid on or before December 31, 2015. It was learnt that the Chief Executive Officer of its Nigerian subsidiary, Mr. Michael Ikpoki, and the Head of Regulatory and Corporate Affairs, Mr. Akinwale Goodluck, resigned from their positions because of the fine. The Chief Operating Officer of MTN Irancell, Ferdi Moolman, and Amina Oyagbola, were appointed to replace Ikpoki and Goodluck respectively. “This will enable MTN to continue to realise its strategy and vision, while also ensuring that we achieve high governance standards and robust risk mitigation.